Steroids not allowed in HS sports – UNLESS! Take almost any high school sport. The Rule is no drug enhancement use, Steroids are used mostly to strengthen and quicken muscle development and are banned, well most of the times unless your a transgender boy! 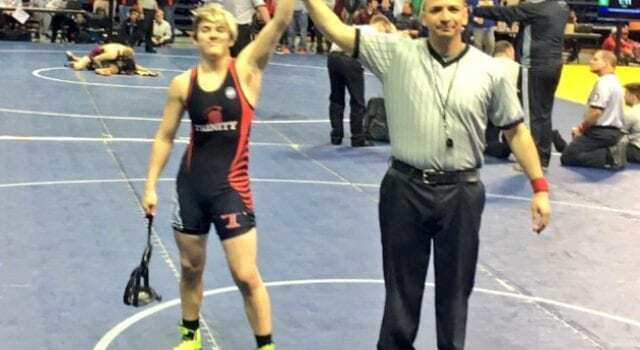 Over the weekend, a 17-year-old transgender boy won the Texas high school girls’ wrestling championship. If you find that confusing, then you’ve got plenty of company. The Wall Street Journal reports that Mack Beggs won the title on Saturday to finish off a perfect 56-0 season in the 110-lb high school girls’ division. Next articleCalifornia just LOVES to break laws!